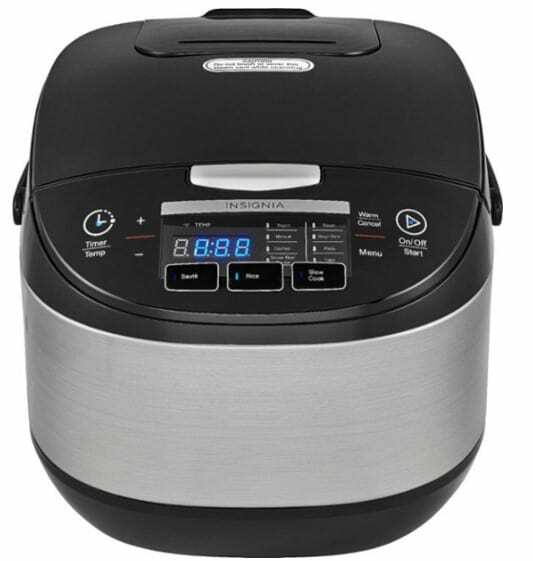 In today’s Best Buy deal of the day for 4/15, you can score Insignia™ – 20-cup Rice Cooker for only $29.99 (Reg Price $99.99). Get FREE Shipping on orders over $35.00 or you can choose free store pickup to save on shipping costs. 12 preset functions – Including sauté, rice, slow cook, yogurt, manual, oatmeal, brown rice/quinoa, steam, soup/stew, pasta, cake, and keep warm functions.